I'm starting to feel more like myself this week. 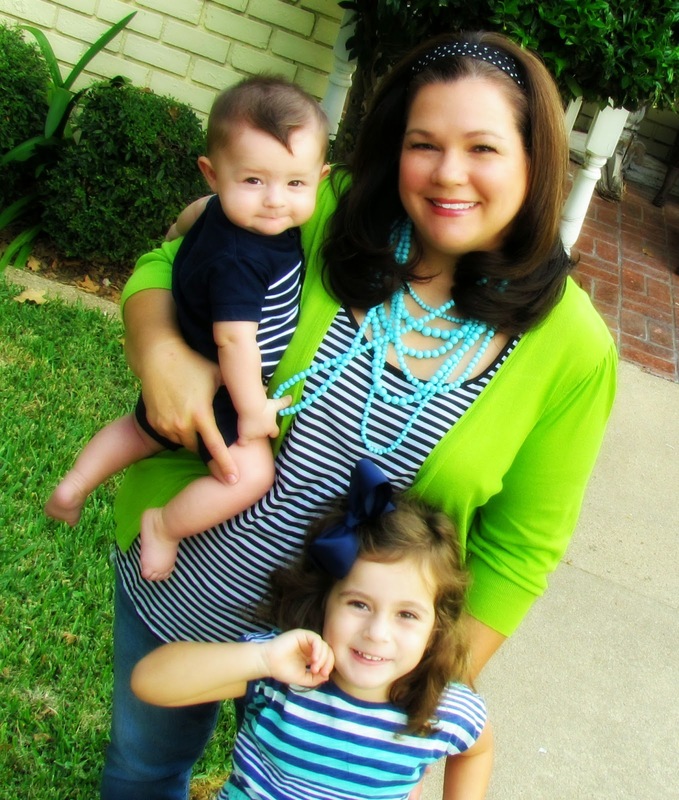 I have been having a hard time keeping up with life, really since I got pregnant last August! That's a long time to feel behind. I still have a "to do" list a mile long, but I am slowly accomplishing things. One thing that helped me enormously is ditching my family last Thursday night. My parents were out of town, so I stayed at their house. First I went to Hobby Lobby ALL BY MYSELF and browsed for an hour! (Christmas is 3 months from today! )Then I got some dinner and headed to my mom's. I watched TV and did some reading and some praying too. I wouldn't make it 5 minutes being a mom if I didn't have God. Then I SLEPT! I made the crucial mistake of forgetting my breast pump! My milk supply woke me up at 4:30. Marcus stopped by in the morning and I fed Jesse, then I SLEPT some more. It did me a world of good to have some time for my mind and body to rest. I hope I can stay at their little hotel again! I'm thankful for a husband that can easily deal with 2 kids for 24 hours. We've been going to football games on Friday nights! 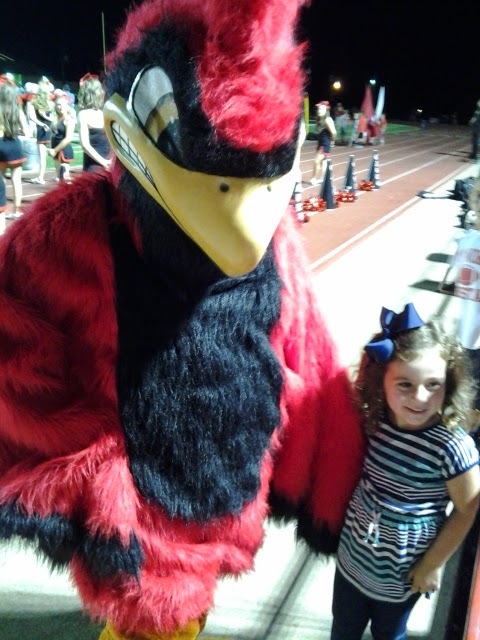 Katie was in love with this cardinal. She loved the cheerleaders too! Last weekend both of Marcus's parents ended up in the hospital. Thankfully they are both doing great now. 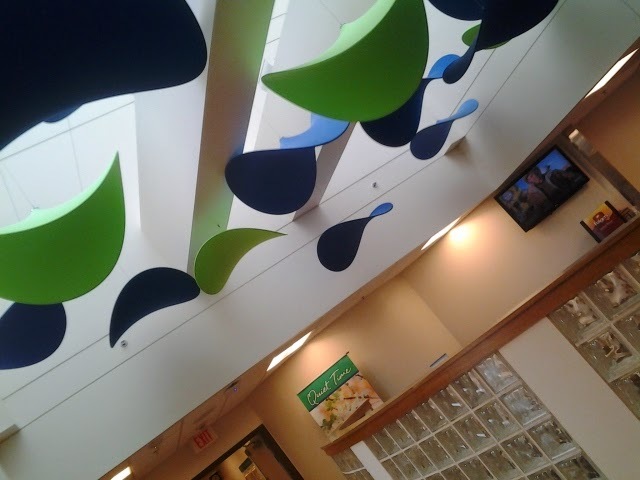 This was the waiting room and Katie kept calling it the "Chip Forest". 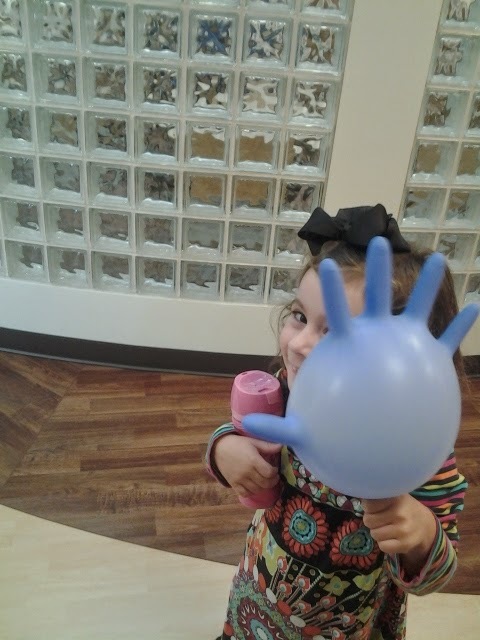 She got a commemorative hand balloon at the hospital. I'm sure that added $400 to the room charge! It's still pretty toasty here, but the mornings are nice and cool. 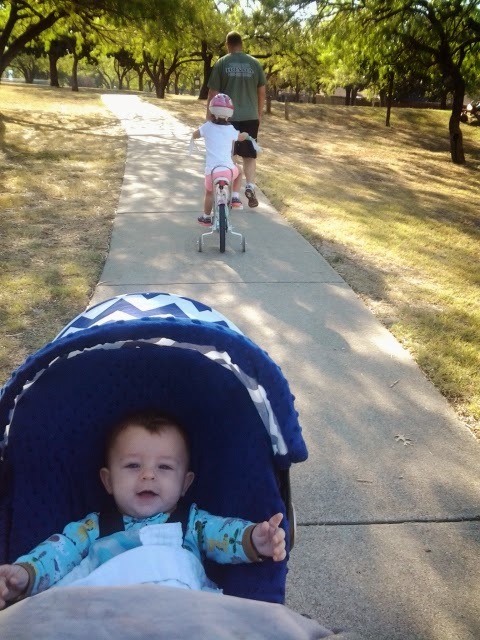 We went to the park yesterday morning and it felt wonderful! 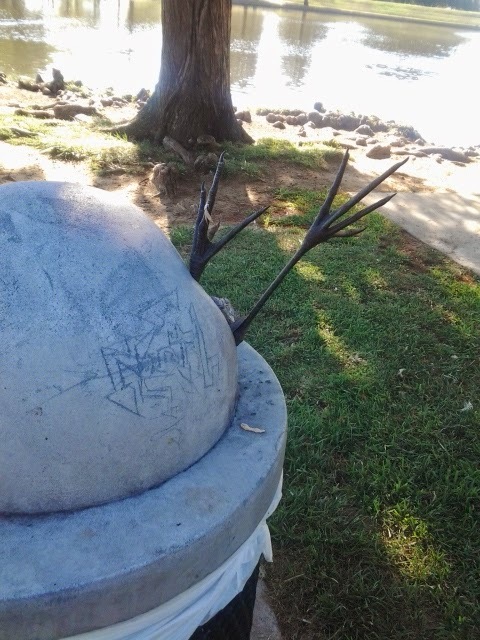 And sadly, this crane didn't have a proper burial and was put in the garbage! 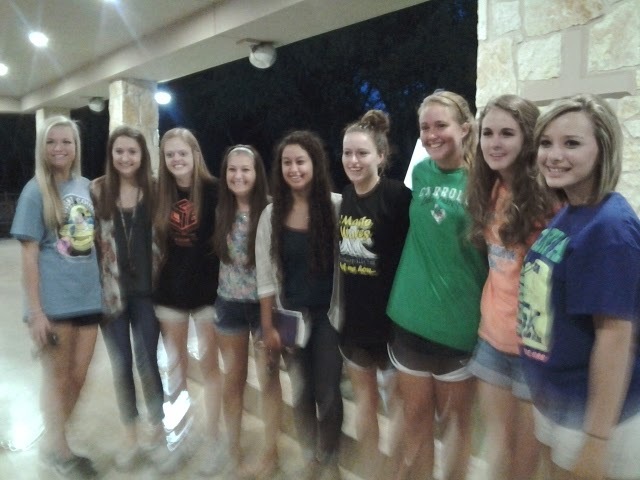 Last night one of my Senior girls got baptized. I was so happy to be there. I brought Katie with me to watch too, because she thought the girl would have to go straight to Heaven after that. I just wanted to clear things up a little. And I finally got a picture of both my kids and me. I think the last one might have been from Mother's Day? I'm always the one taking pictures. Today I decorated the front yard for fall and it was good for my soul to make things festive. I will take some pics soon. Now I just need it to cool off. My scarecrow will feel pretty silly if it's in the 90's! What a great husband you have to send you away for a couple of days to refresh yourself! I remember one year when Kyndal and Dawson were tiny, I told their dad that for Mother's Day I wanted them all to leave for the weekend. I needed some time to rest. 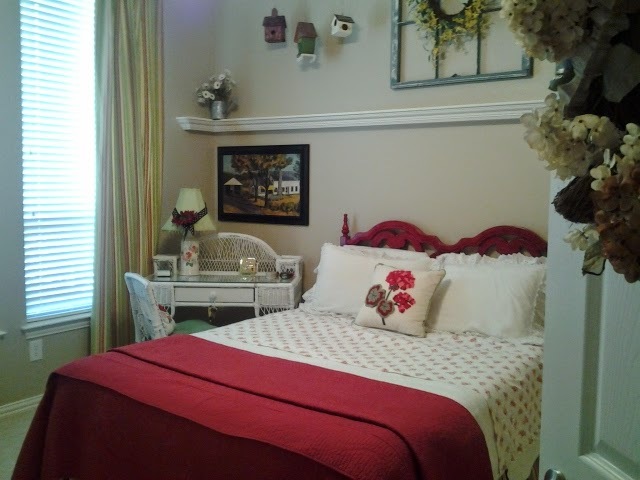 Best weekend ever with a clean house for more than 10 minutes and all the Lifetime movies I could stomach! I love that picture of you and the kids. You look amazing!!! praise God for willing husbands! mine is the same way and I know i am spoiled compared to most of my friends. you will feel more like your old self one day. i think it has just happened to me. my youngest will be 2 in november and I just now feel like i can think deeply about things other than kid stuff. You can come and stay anytime Deenie. 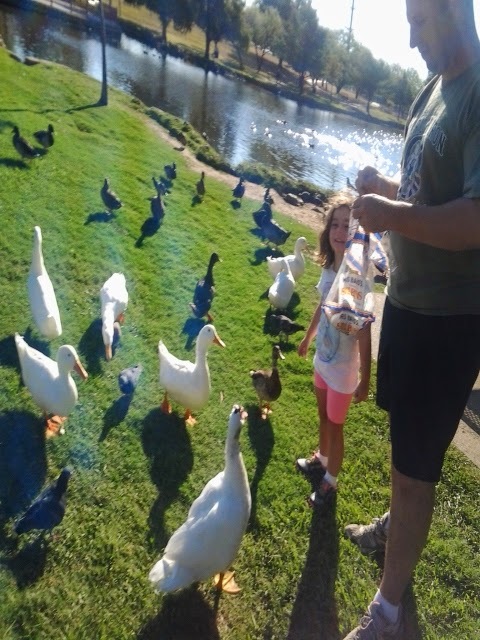 Great picture of you and the kids Dina!